A hospital stretcher plays a very important part in patient care. A stretcher is used for moving patients from one part to another. These patients are unable to move by themselves and need to be carried by people or by stretchers. What does a hospital patient stretcher look like? 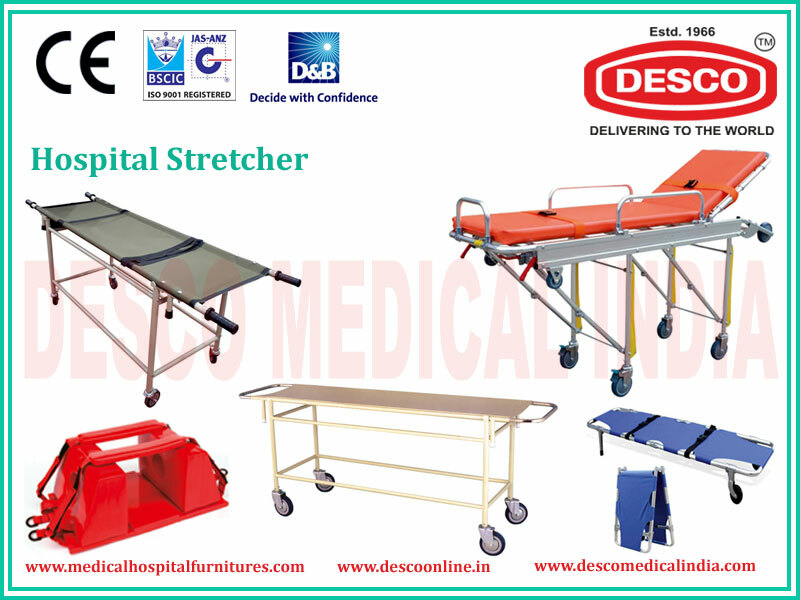 A hospital patient stretcher comprises of metal wheels which can be moved here and there. A wheeled stretcher comprises of different frames, wheels and racks. They are used in by emergency medical services as well as rescue personnel and military services. The EMS stretchers are used in ambulances comprise of wheels that helps stretchers to move on pavements. This comprise of a seat belt that is used to lock patients while on the move. The modern stretchers consist of battery powered hydraulics that helps in raising and collapsing all the legs automatically. There are different kinds of stretchers that have a variety of characteristics. Specialized bariatric stretchers are available with a wider frame and higher weight capacity for patients who are heavy. Standard stretchers can be adjusted in several ways. The Hospital patient stretcher beds can be lowered as well as raised for shifting patients. The stretcher can be moved in a sitting position for patients especially who are old and are suffering from respiratory problems. What are stretchers cover with? Hospital patient stretcher beds are usually covered with a disposable sheet as well as a wrapping which are cleaned on a regular basis to prevent spread of infections. The stretcher is also accompanied with shelves, hooks, and poles as medical equipment’s as well as for intravenous medication. What is a stretcher made of? The simple stretchers which are of the basic type are very light and portable. They are made of canvas as well as synthetic materials that are hung between two poles or an aluminum frame. The folding stretcher is similar to a simple stretcher but allows the stretcher to be folded into a compact form so that it is easier to carry. The scoop stretchers is used to move patients from the floor to the ambulance or the bed and the two ends can be detached from each other.